They married in late 2018 and have been enjoying the honeymoon phase ever since. And Nick Jonas, 26, and Priyanka Chopra, 36, proved their love was going nowhere anytime soon, enjoying a getaway together in Miami this weekend. Taking to social media, the 26-year-old shared a selfie with his lady love, calling her his 'only sunshine'. 'You are my sunshine my only sunshine... #miami,' he captioned the shot. Really committing to the Spring break, Nick opted to wear a blue tropical shirt with a gold chain necklace. His lady love also kept things simple keeping her brunette tresses out with a pair of shades on the top of her head. 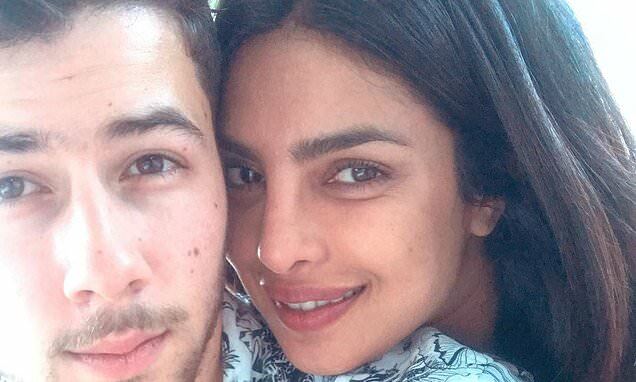 Priyanka appeared to be makeup free for the sweet selfie together. The pair also appeared on Nick's Instagram Stories, in which they disclosed they were enjoying some afternoon drinks by the beach. 'We're here in Miami, it's a beautiful Saturday afternoon,' Nick began. And extending the invite, Priyanka also took to social media to share photos cuddling up to a baby with her family and friends. 'Family ❤️,' she captioned, hugging the little tot.